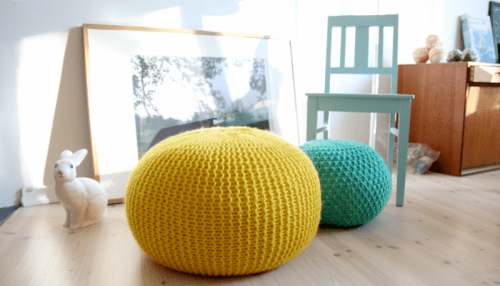 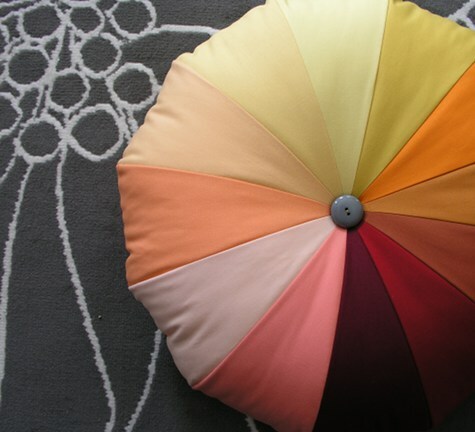 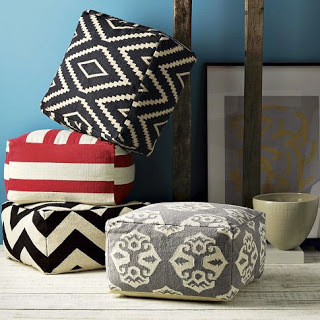 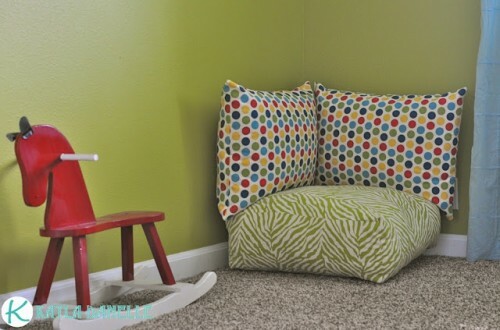 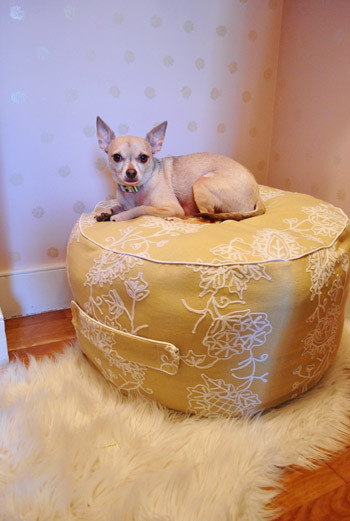 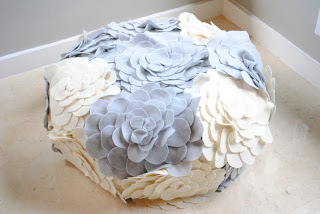 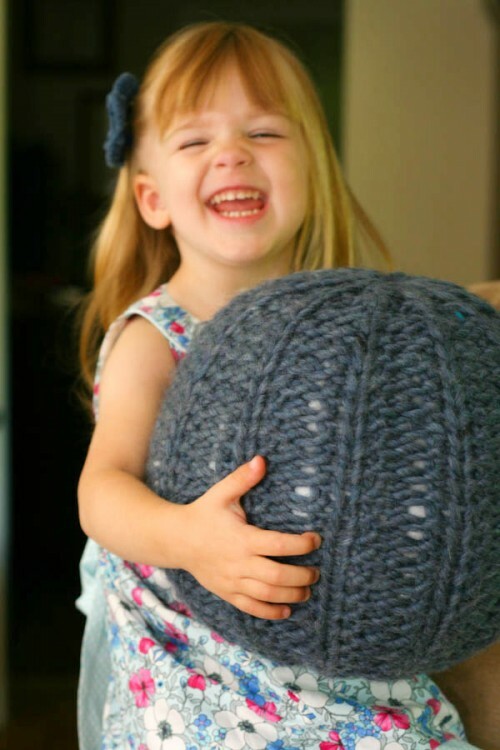 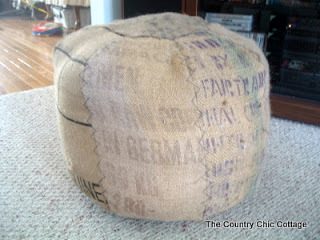 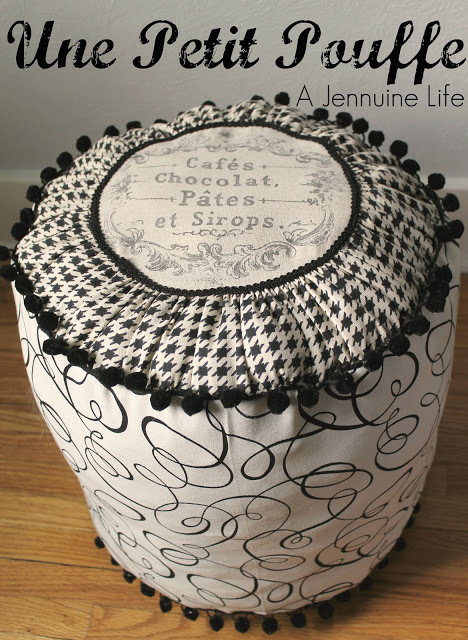 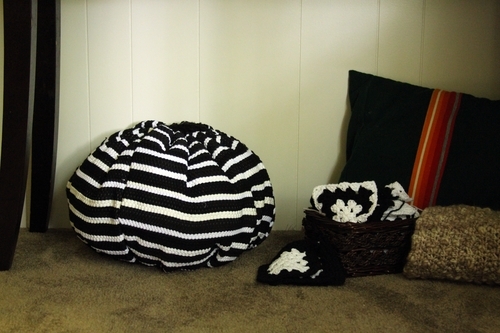 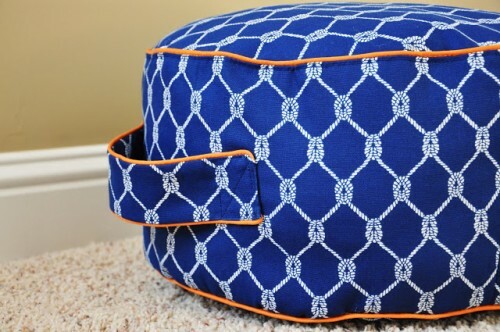 You may easily make a pouf or an ottoman that will accent your interior and it’s a very functional piece as you may sit on it, put your feet, it may serve as a chair for your kid or a bed for your pet. 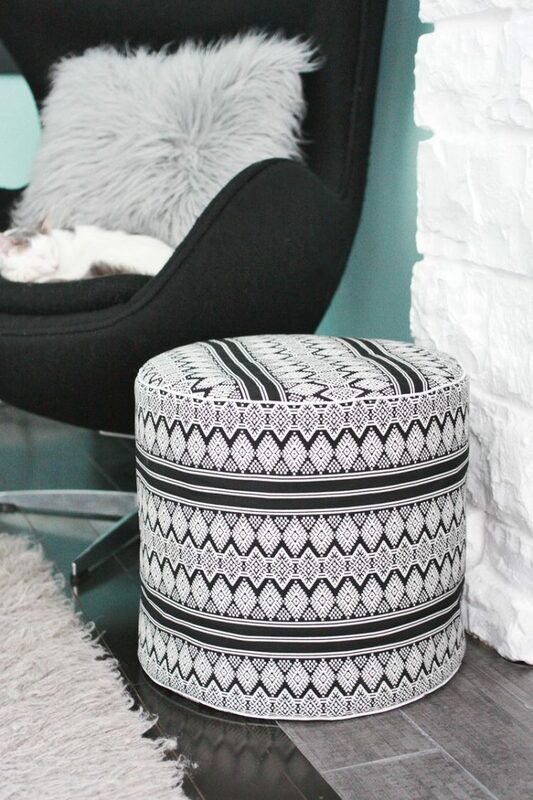 Choose colors that combine well and the design you want – a Moroccan pouf, a zebra pouf for your kid, or an ottoman of a party dress. 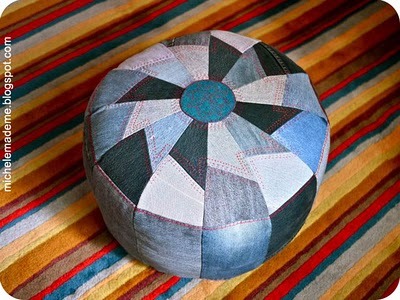 There are hundreds of ideas of the material to use: denim for more durability, an old party dress may become a source of fabric, an old sweater, even a rug. 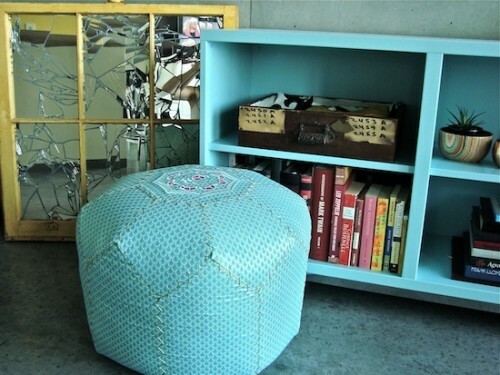 Have a look at some ideas below and start creating a lovely piece of furniture! 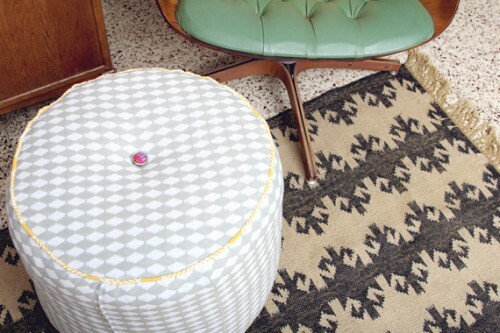 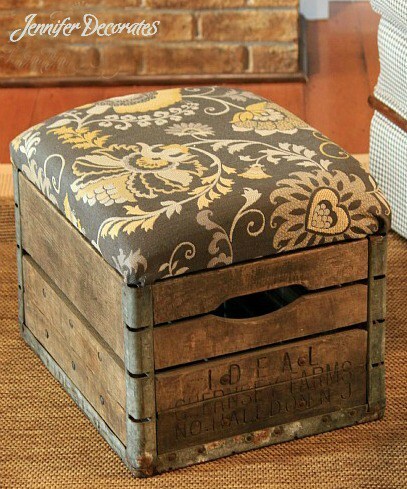 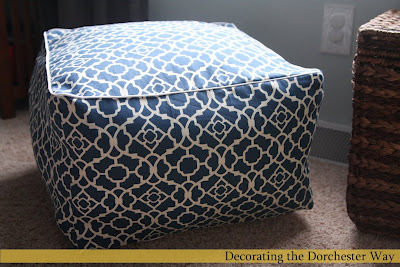 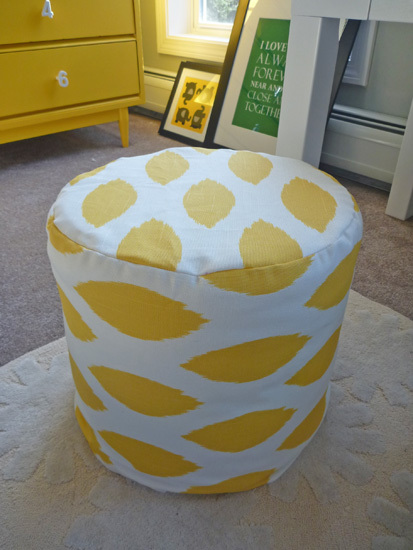 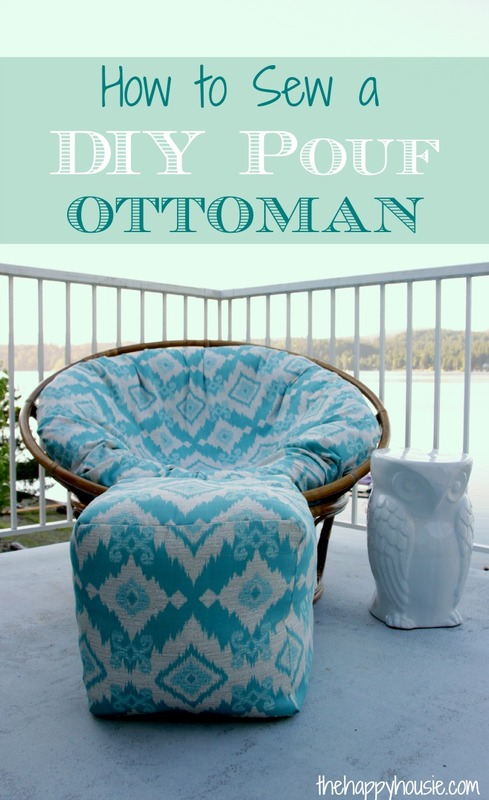 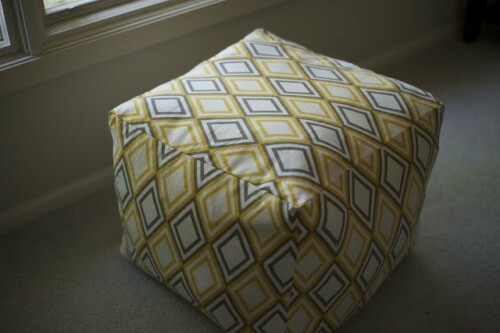 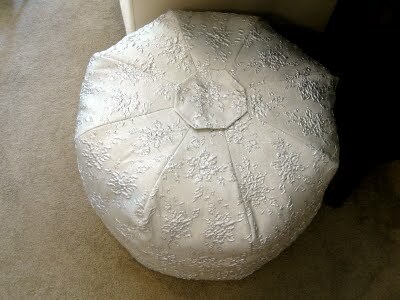 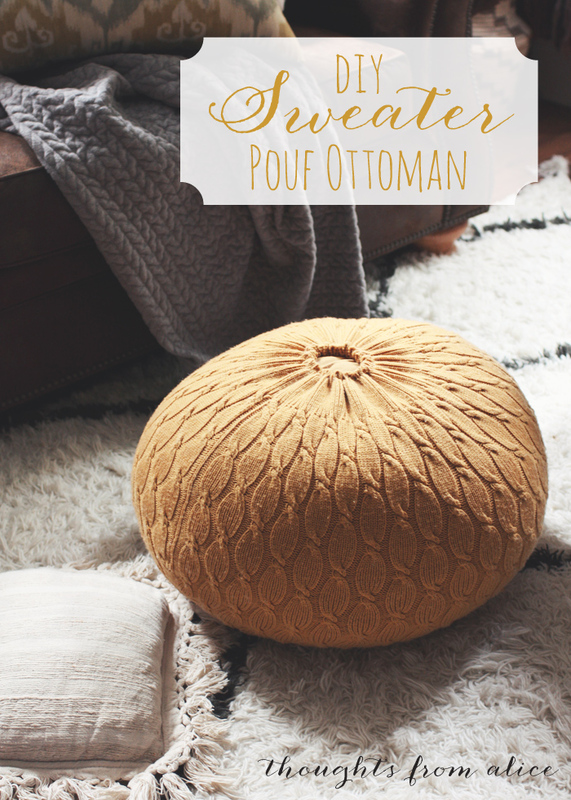 Lots of these ideas comes with full set of instruction that will show how to make a floor pouf ottoman with some sewing skills and without them. 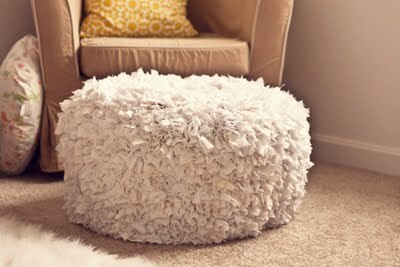 Fluffy things always looks cozy. 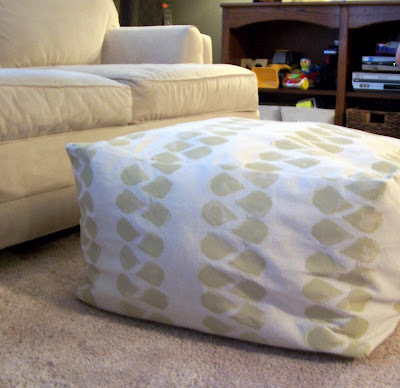 The fabric here is attached using a hot glue gun. 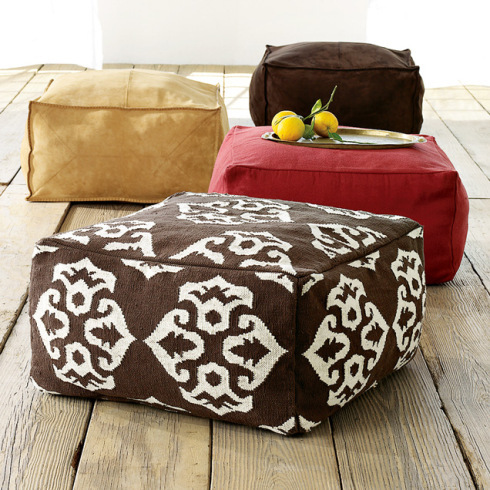 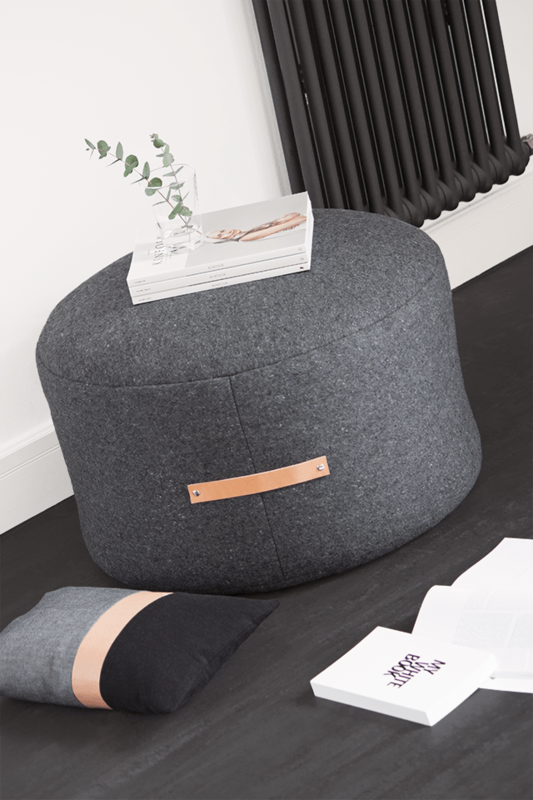 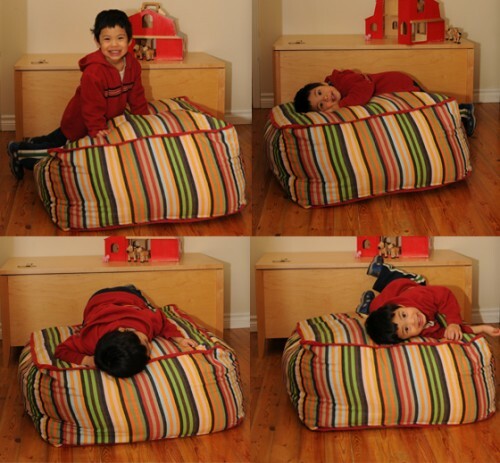 Floor pillows is even a more versatile alternative to poufs. 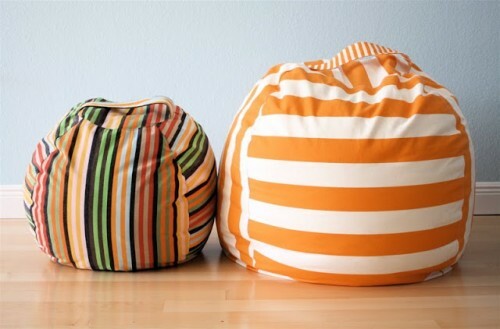 You can use them for decorating your place.